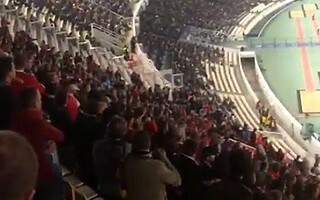 As a result of Bayern supporters bouncing in their section, a whole segment of upper tier began shaking significantly, causing concerns over safety. UEFA officially intervened about the issue. 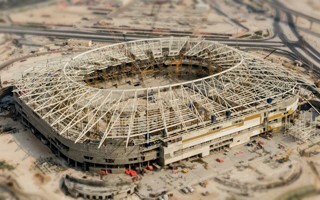 Instead of March, the new stadium in west Doha will by ready in mid-2019. Though the Qatari Supreme Committee claims to have change their information strategy, it's still the most secretive preparation process we've ever covered. 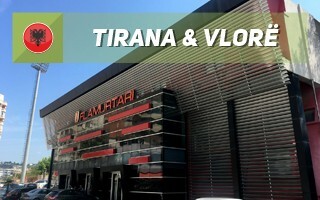 Courtesy of StadiumDB friends Kamil Grabowiec, Dominik Łaciak & Ola Lenard we can today present you with two new presentations from Albania, the recently-modernised stadiums of KF Tirana and SK Flamurtari! 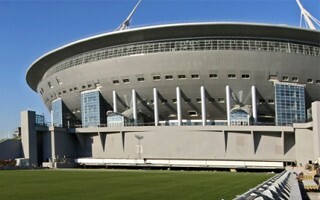 After the last game of Zenit this year the field will be replaced by temporary ice rink. Two hit games should bring sell-out crowds of up to 70,000 each, according to organisers. 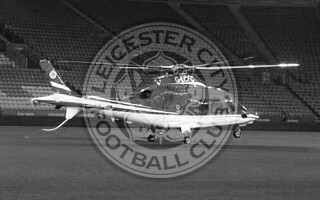 Less than a minute after take-off from King Power Stadium, the private helicopter of Leicester City owner Vichai Srivaddhanaprabha crashed onto a car park outside the venue. According to independent reporting, the billionaire was on board and died on site. One of Poland's largest planned sports complexes has just today received the much-needed green light from the Sosnowiec city council. 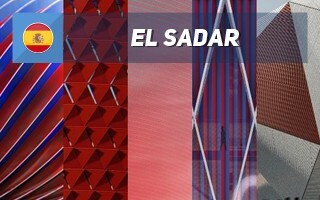 Construction tender for the project is expected already next week! Instead of late 2018, the planning application for Bramley-Moore Dock stadium is now expected in late 2019. 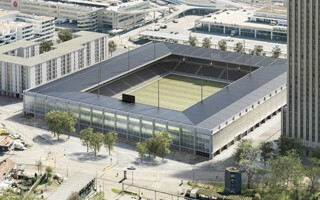 For now fans have to settle with formal round of public consultation. 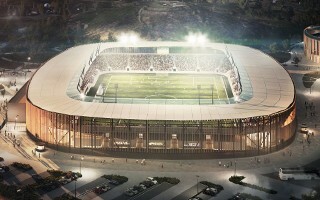 24.10.2018 Germany: Construction approved, farewell Wildparkstadion! 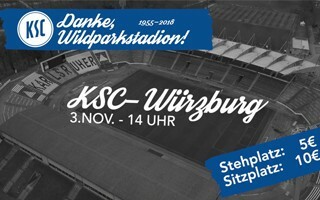 Yesterday the city council voted in favour of stadium reconstruction, today Karlsruher SC invited supporters for the final game of Wildparkstadion. Demolition is coming fast! It may be 2 years behind initial schedule but at least it now seems nothing more can stop Camp Nou's expansion to over 105,000 covered seats! FC Barcelona confirmed the expected time frame. It was a special Sunday for football fans in Minneapolis and all of Minnesota. 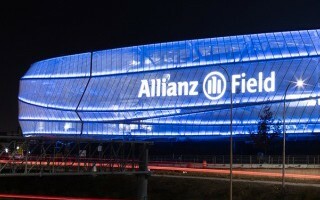 With the state seeing new attendance record for 'soccer', supporters also saw the impressive illumination of Allianz Field, where MNUFC are about to move. 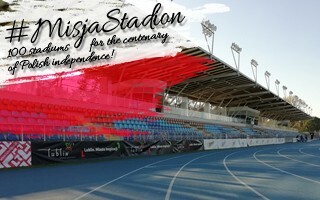 In our effort to add/update 100 Polish stadium presentations to celebrate centenary of regaining independence we're at number 13. Here are the latest additions, from Lublin, Kostrzyn nad Odrą and Siewierz. In Australia things are done differently, apparently. 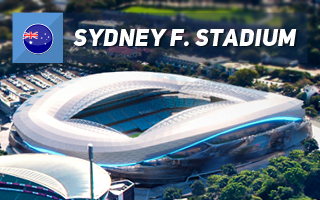 After just 30 years Allianz Stadium will be torn down to be replaced by a more modern stadium of the same capacity. Better, surely, but is that worth nearly $730 million? Though actual construction will only begin in March, enabling works and demolition have to be launched already in November. 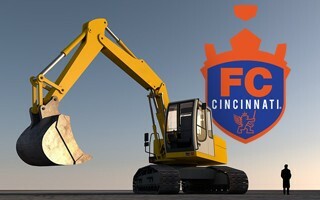 Official groundbreaking will take place after a month of site clearing, on December 19. 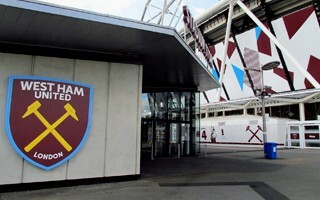 The Premier League club would like to take full control of London Stadium, however not under current conditions. 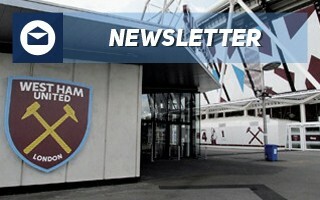 Particularly not as long as the running track is used, according to vice-chairman Karren Brady. 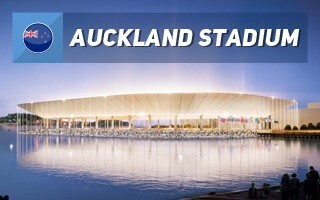 Like a crater in the sea, this 50,000-seat stadium would offer an auditorium sunken below sea level. 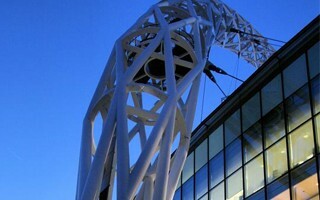 This minimises its outer scale, leaving only elegant canopy hovering above the harbor. 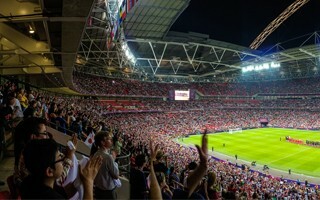 Shahid Khan decided to withdraw his proposal to purchase Wembley, following insufficient support for the transaction within the English football community. 16.10.2018 Paris: Major revamp at Stade de France? 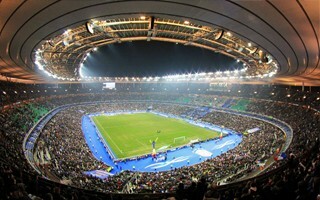 Investment may cost far more than initial construction cost as the largest ever upgrades are considered for Stade de France. 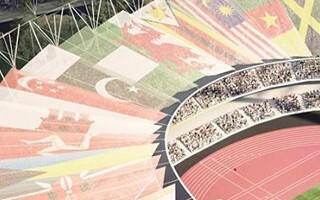 Larger and more modern, the venue would be time-proofed for 2-3 further decades just in time for the 2024 Olympics. 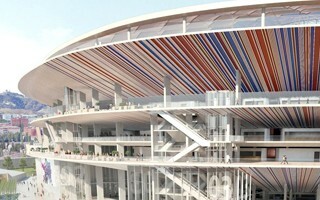 New stadiums, designs, photos and much more. We're back on track with most content and there's much more where it came from. Here's what our small StadiumDB team was up to over the past 10 days. 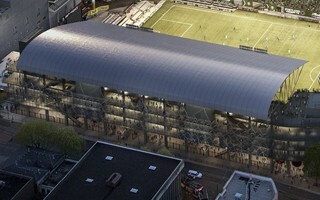 15.10.2018 Portland: Will Timbers complete expansion in 6 months? 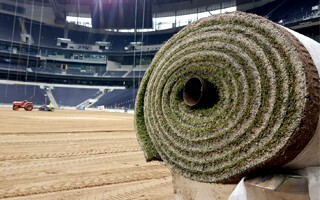 The impressive expansion project is officially on schedule, however the MLS team hopes to have a safety buffer and be able to play away their opening 2019 games. Their good performance on the field may change the schedule, while the field itself also needs to change. 15.10.2018 New design: Finally a breakthrough in Dublin? Aviva Stadium is brilliant, Croke Park is huge, but on league level infrastructure is heavily underinvested in Dublin and beyond. This latest proposal should change things round at least for two clubs. One of USA's most football-crazy cities once again is on the map for potential place in MLS. New scheme would see St. Louis FC join the league in 2022, of course should everything go as planned. 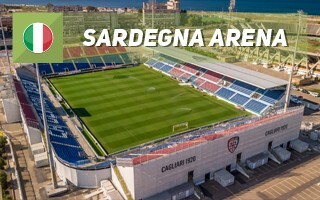 Upon first seeing it we thought: impressive but surely much more expensive than the official stadium scheme for Szczecin. But when the official tender brought bids exceeding expectations by 93% (!!! ), we take it back. This vision would have been better and not certainly more expensive. 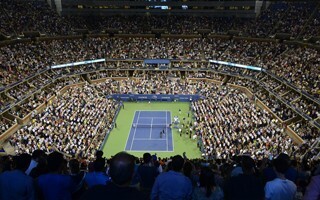 It seems that the pressure on global sports venues gets ever greater in the modern sporting world, today we look at the tennis world and see what the best venues have to offer. 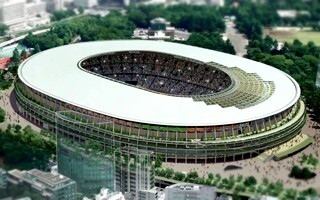 Tokyo’s new National Stadium, the main venue of the 2020 Tokyo Olympics and Paralympics, was set Thursday as the venue for next season’s Emperor’s Cup final. 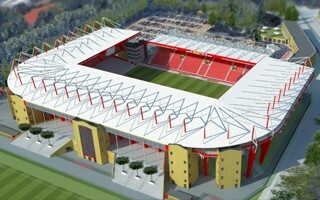 In mid-2019 both the stadium expansion and new club offices should have planning approval, according to latest Union Berlin statement. 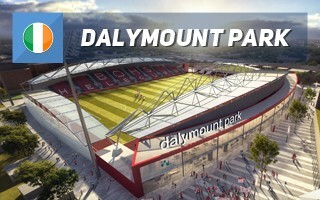 Public consultation regarding the club's largest ever project is about to begin. 11.10.2018 London: Last chance to open by year end? 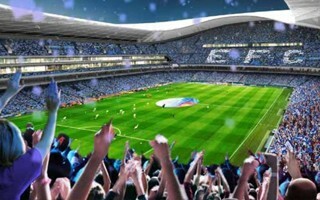 Tottenham is hoping to open their delayed stadium in mid-December. If this third attempt fails, there will be only one more game left to play in 2018. It's still a draft and subject to change, but since it's been published officially, we're here to show it. 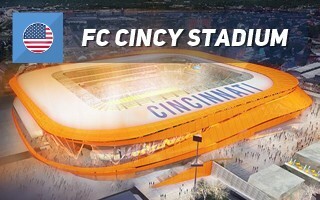 FC Cincinnati will soon formally submit their second bid to build an MLS-specific venue. Work had to come to a halt last week as New South Wales suffered from excessive rainfall. 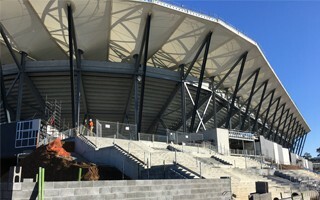 Western Sydney Stadium's future field was filled with brown, muddy water, causing construction to stop. 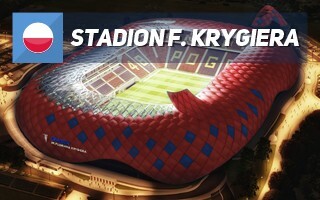 If faithful to these renderings when delivered, this could be the most beautiful stadium of Israel. 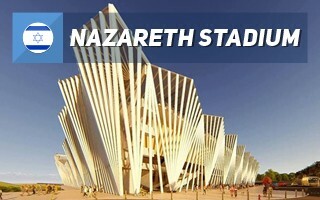 However, to date there have been very few details about Nazareth's long-awaited stadium. Not exactly the desired piece of history, but one America is dealing with more seriously these days. It turns out that Charlotte Panthers' stadium is located precisely at the site of the city's first lynching, dating back to 1913. 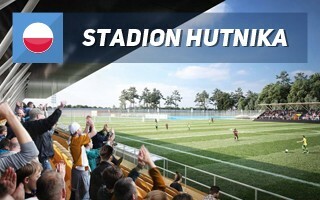 For the last year architects have been working on a way to revive Hutnik Warszawa's stadium and training facilities, among the most dilapitated in the entire capital of Poland. 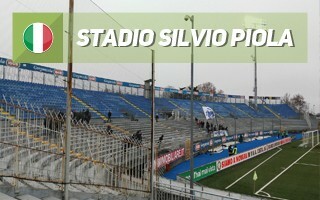 Spiritual home of Torino FC now have a new, beating heart. 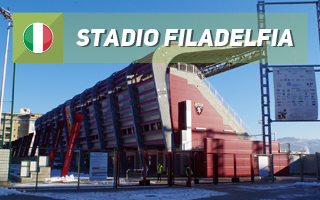 After decades of neglect and failed promises, the new Filadelfia stadium is in operation. AFC Bournemouth took a lengthy statement to communicate one major piece of information: the new stadium will not be ready as planned. Its construction is delayed and no new deadline has been set. It bears the name of Serie A's legendary striker and also remembers good days of Serie A. Novara Calcio managed to win promotion in 2011, even to beat Inter that year. But their relegation came just as soon. Thankfully, investment from those days still serves people at the stadium. You think the title is strange? 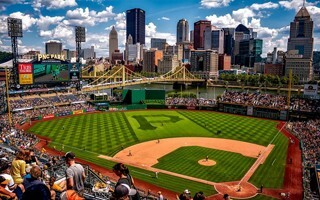 Take a look at this stadium. It was built first in 2012, then in 2013 and now in 2017. It's temporary, sure, but it already earned quite some history! 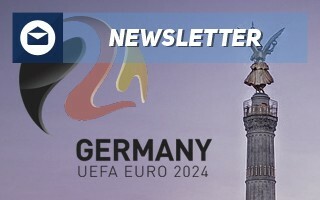 It's been a while since we've sent out the newsletter, following our trips to the Scandinavia (photos from Stockholm's legendary Olympic Stadium and Tele2 Arena uploaded, others from Bergen to come) and there's been a lot of changes in the world of stadiums. 03.10.2018 “Wooden Seats”: A “novelty” at EFC’s Bramley Moore Dock? The proposed new Everton stadium, on the site of the Bramley-Moore dock near Liverpool city centre, is exactly what the city’s first professional club needs. 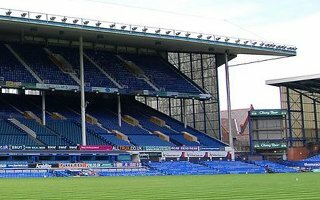 Nonetheless, Evertonians will leave Goodison Park with a heavy heart, finally leaving a famous stadium with what will be nearly 130 years of history behind it. As the Supreme Court of United States recently paved the way for legalisation of sports betting in the country, teams and leagues have gone all silent about their long-standing opposition to all kinds of gambling activities, and have switched their attention to a different question – how can they get a piece of the cake?! 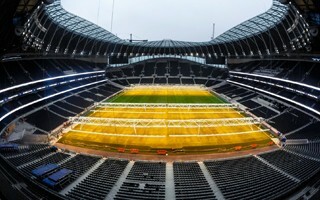 A third of Tottenham's hybrid field is already in place, at least the natural part of it. 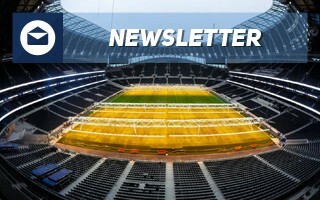 With 3 days 23 lorries from the Netherlands should deliver the future turf, which will welcome players once the Spurs' new home opens. 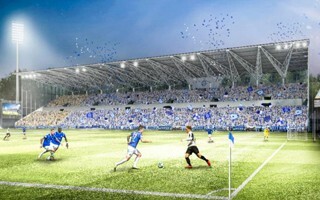 Only one contractor submitted a bid to redevelop SV Darmstadt's stadium and construction prices are rising across Germany. 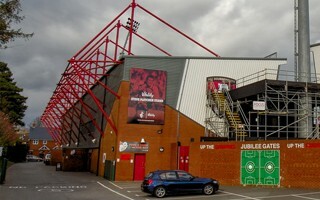 These two factors resulted in over 40% increase of the stadium revamp's budget.